A person will be charged with a speeding offence if it is alleged that they drove in excess of the applicable speed limit. The most serious speeding offence is known as a “high-speed offence” and occurs when a person drives more than 40km/hr over the speed limit. Typically, Queensland speeding fines are issued by an infringement notice, which is mailed to the registered operator of the vehicle or handed personally to the driver. This notice provides details of the alleged offence and other information regarding your options going forward. There are several different speed detection devices that are used to catch drivers speeding on Queensland roads. For example, the Queensland Camera Detected Offence program includes both fixed and automated speed cameras, as well as mobile speed cameras operated by the Queensland Police Service. It’s important to understand how your alleged speeding offence was detected and recorded, especially if you are looking at challenging the offence. There are slight variations in the process, based on the method used to record the alleged offence. Portable speed camera: Handheld devices that are regularly referred to as ‘radar guns,’ as they are pointed at traffic to detect the speed of a vehicle. Vehicle speed camera: Working on the same principles as portable speed cameras, but instead these are fitted to a vehicle that is parked on the side of the road. Police officers operating these mobile speed cameras can do so from marked and unmarked vehicles or by standing on the side of the road. Once an area has been marked as a mobile speed camera site, police officers can also position themselves there at any time, day or night. These cameras work by emitting a radar beam across the road that strikes an object (like a passing vehicle) and sends a frequency back to the operator. The change in frequency between these two points is used to calculate the speed of the object. If the speed is higher than the limit in the designated area, the camera automatically captures a photograph of the alleged speeding vehicle for evidence. Due to the nature of radar guns and vehicle speed cameras, their need for calibration, and being human operated as oppose to automatic cameras, there are times when people will question their accuracy. If you feel a mistake has been made, we are more than happy to speak to you regarding what options are available. As specialised traffic lawyers, we’re well versed on the subject and can assist you with expert legal representation. These are automatic speeding cameras that are permanently installed on the side of the road or at an intersection, found throughout Brisbane and Queensland roads. The locations chosen for fixed cameras tend to be areas either with a history of speeding-related crashes, have a high crash potential or would be difficult and unsafe to monitor with other enforcement methods. In many instances, they are designed and used more as a deterrent to stop speeding, with signs often advising that a fixed speed camera is operating nearby. They also can be combined with red light cameras to provide further efficiency in discouraging speeding behaviour. They use both radar and in-road sensor technology to detect speeding, with an image being captured and sent to the Traffic Camera Office. There, an infringement is generated and sent to the registered owner of the vehicle. Similar to fixed speed cameras, point-to-point speed camera systems use 2 cameras in a section of the road to calculate your average speed. As you pass the first camera in a vehicle a recording is taken. This is then compared when passing the second camera recording further down the road. By dividing the distance travelled between the two cameras with the time it took for the vehicle to pass them, the average speed is calculated. If the speed is higher than the designated speed limit, just like a fixed camera, it will record an image that will be used to issue an infringement notice. The penalty depends on the seriousness of the alleged speeding offence but usually any person who is found to be speeding will be fined and will receive 1 or more demerit points. 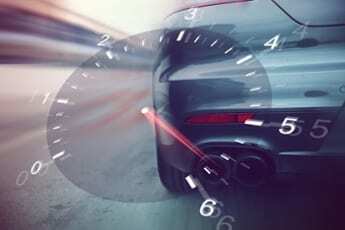 The penalties increase considerably if you have committed more than one speeding offence in a 12-month period that exceeds the 20km/h threshold. The monetary fines stay the same, however you will incur double demerit points. This is something to keep in mind if you have already been caught speeding within the last calendar year. If you accumulate too many demerit points due to speeding offences (or any other type of demerit point offence), your licence may be suspended for a period of at least three months. Your licence will also be automatically suspended if you are caught committing a high-speed offence, regardless of how many demerit points you have already accumulated. If you are then caught driving while suspended, you will be charged with unlicensed driving. 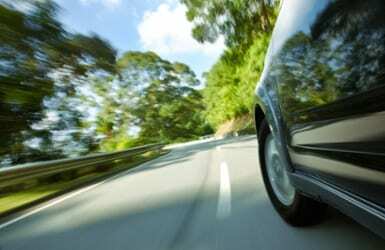 If you have been charged with committing a speeding offence, we can help you to review your choices and your rights. People are often charged with speeding offences when there is simply no evidence to support the allegation, in which case you have the right to plead not guilty. Our most important goal is to provide Queenslanders with the justice they deserve. If you believe you weren’t speeding as alleged, you have the right to your day in court. Having professional traffic and speeding lawyers who specialise in this area of the law will increase your chances of a successful outcome – the outcome you deserve. If on the other hand you decide to plead guilty, we can help you to mitigate any penalty you might receive. If your licence is going to be suspended due to a speeding offence, we can also help you to successfully obtain a special hardship order application. Special hardship order applications can give you the ability to drive under special circumstances. For example, we can help you apply and receive a work licence that allows you to travel to and from work so your livelihood is not affected. Don’t risk potentially losing your licence and income when the experts at Harper Finch Lawyers are here to assist you. For all speeding offences in all ranges, we are here to make sure you have professional legal representation that secures you the best outcome and sentence, no matter which decision you decide to proceed with when receiving your infringement. If you have been charged with a speeding offence or if you are at risk of losing your licence due to accumulating too many demerit points, contact us now so that we can discuss your circumstances.